It’s been a while since I have been able to do another Brewco poster, but my schedule freed up so I was able to complete this one a few weeks back. 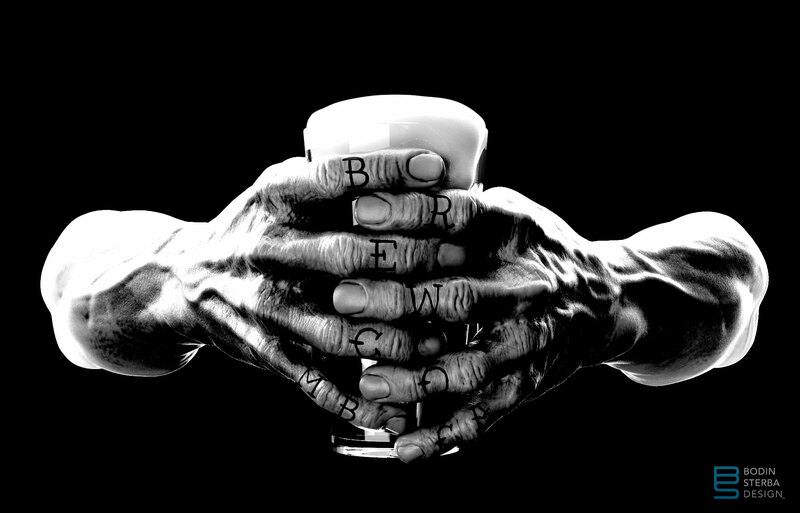 I decided to digitally sculpt a pair of hands holding a beer glass to use as reference for the illustration. Here is a render of the Zbrush sculpt. This is currently being printed on canvas and should be delivered to Brewco Manhattan Beach in a month or so. The owner of Brewco commissioned me to do a piece that was inspired by the cover art, “Back Story” by the artist Lorenzo Mattotti on the Sept 2014 issue of The New Yorker magazine. 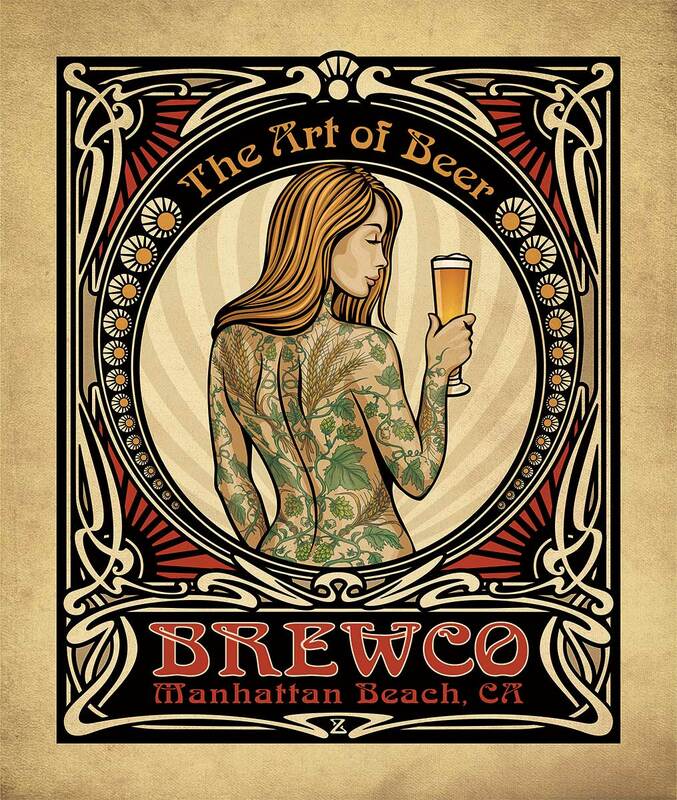 He requested that the woman’s tattoos be of hops and wheat, with the title “The Art of Beer”. I really liked the concept, and as I was playing around with it, I thought it could be cool to give it an Art Nouveau feel. 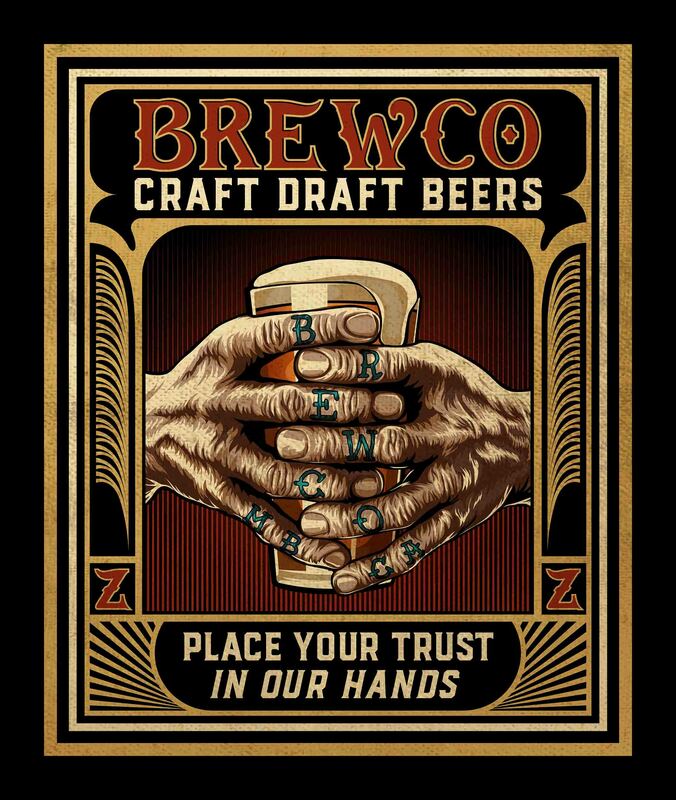 Here is the latest Brewco poster, Serious About Beer. The owner commissioned me to create a Brewco Manhattan Beach version of the New Yorker cover featuring the illustration “Hip Hops” by Peter de Séve. 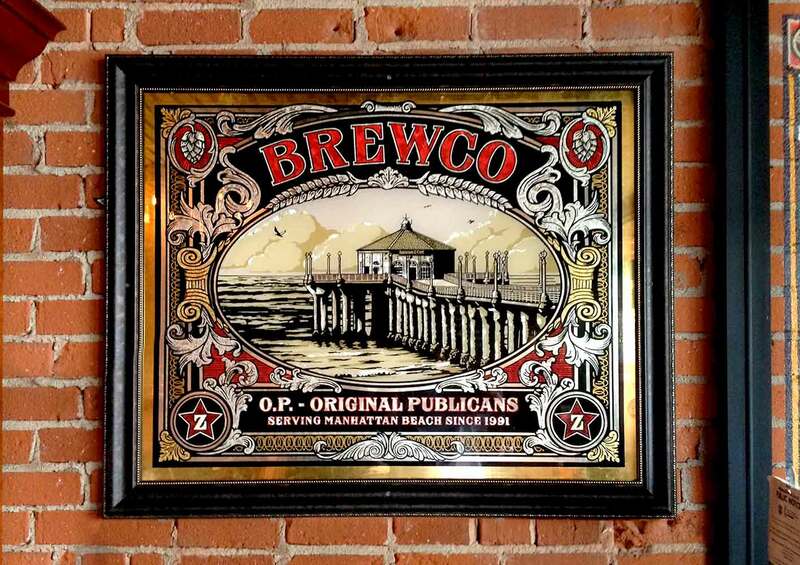 Here is the canvas print on display at Brewco Manhattan Beach, CA. 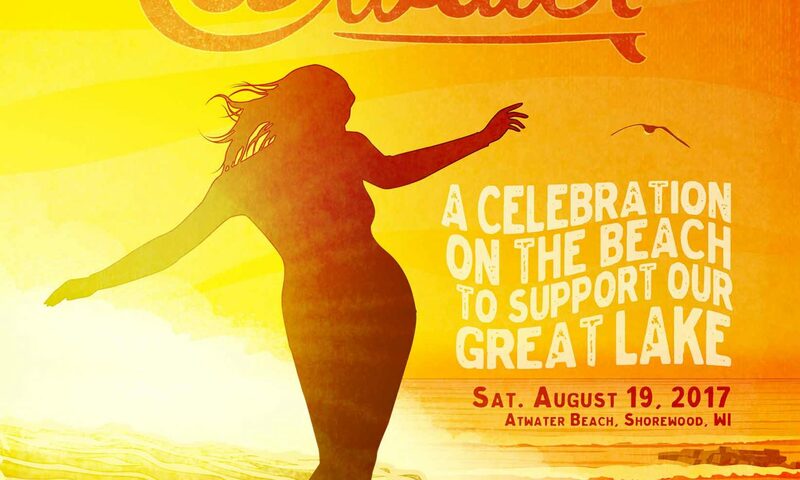 I just completed the latest piece for Brewco Manhattan Beach. It should be up at Brewco any day now. 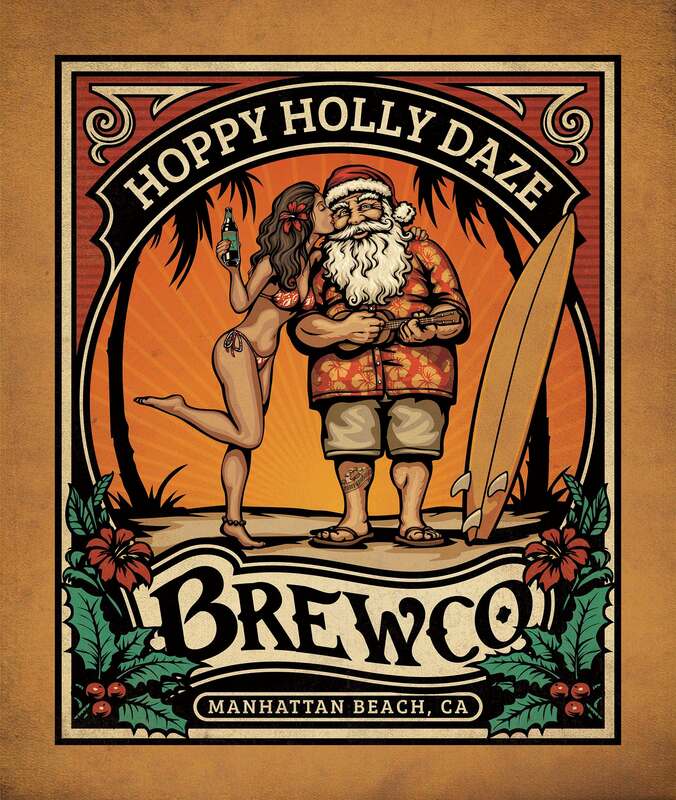 Hoppy Holly Daze! I was recently commissioned to create a faux vintage sign for “Dr. 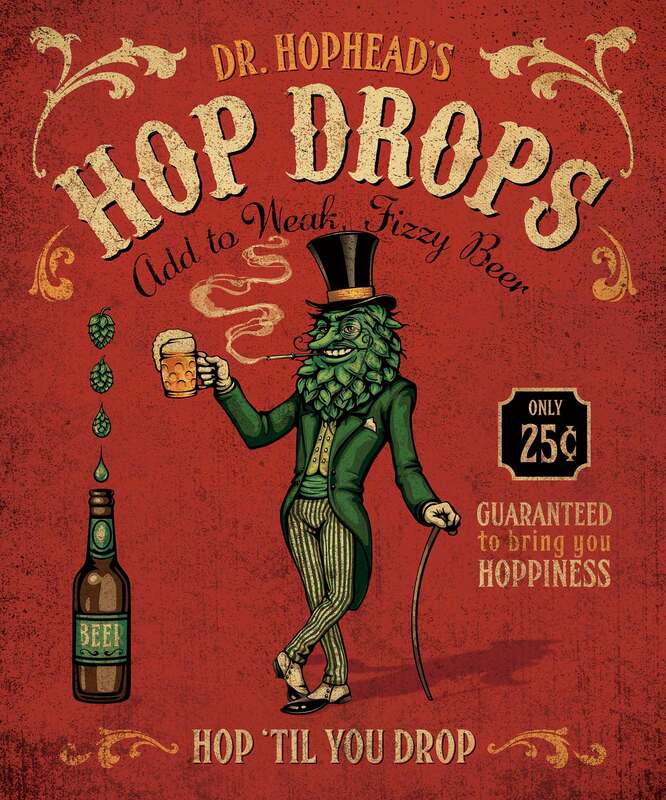 Hophead’s Hop Drops”. 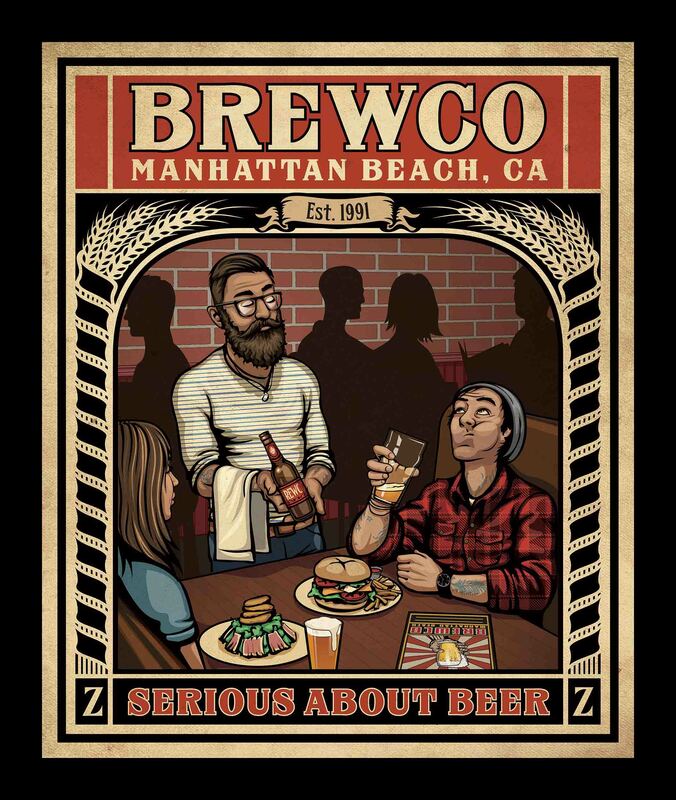 I just finished the latest poster for Brewco Manhattan Beach. 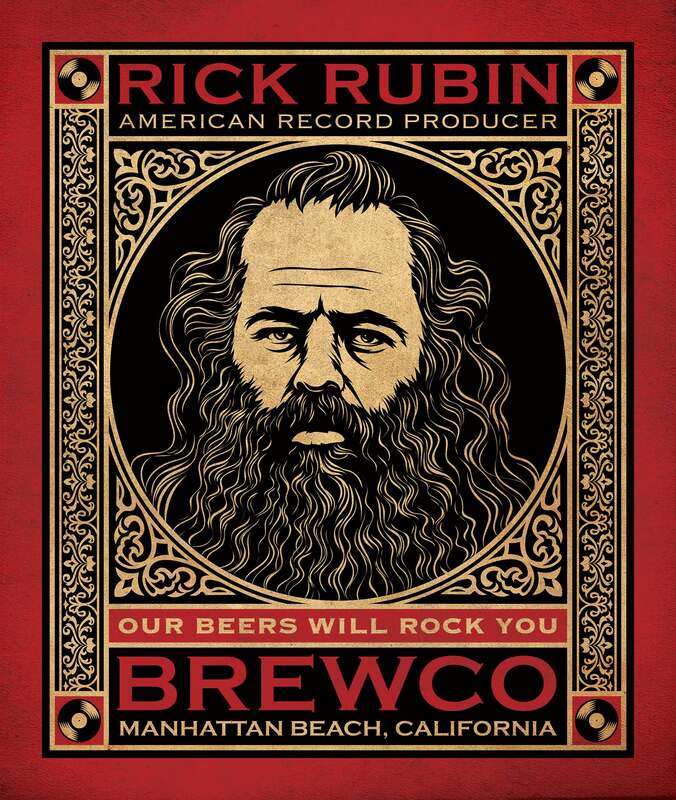 Owner, David Zislis requested Rick Rubin for his “Our Beers Will Rock You” art series. This 54″ x 64″ giclee printed canvas will be on display at Brewco Manhattan Beach in the next month. 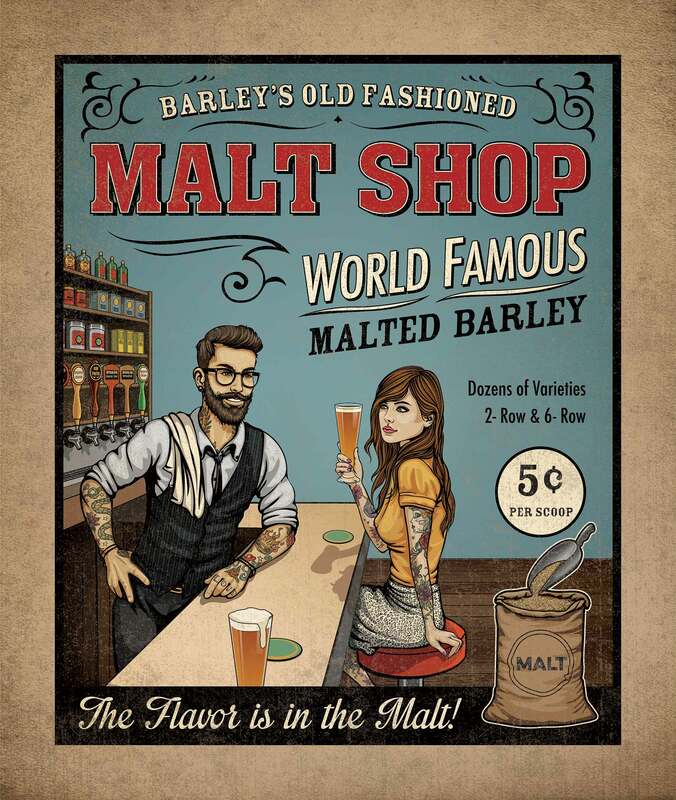 It has been a while since I have been able to do another Brewco poster, but I finally had a window of time to do one. The client requested that Tame Impala be featured on this, so I suggested that we go a little retro. I referenced the some of the great psychedelic Fillmore posters to get some inspiration. I had fun with this one. 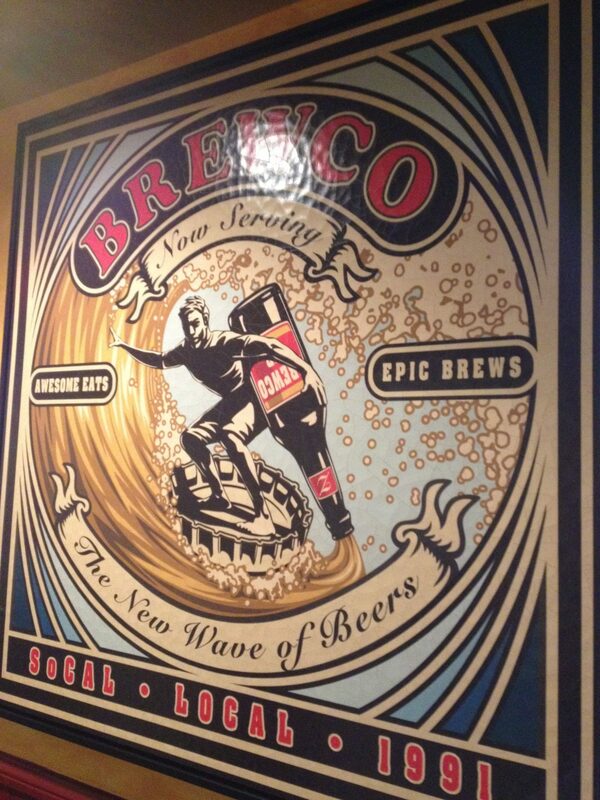 I recently designed this 7′ x 3′ wall mural that is going to be painted in the front entrance of Brewco Manhattan Beach. Brewco is commissioning Colossal Media out of Brooklyn to paint mural. I’m sure they will do a great job. I’ll post images when it is finished. 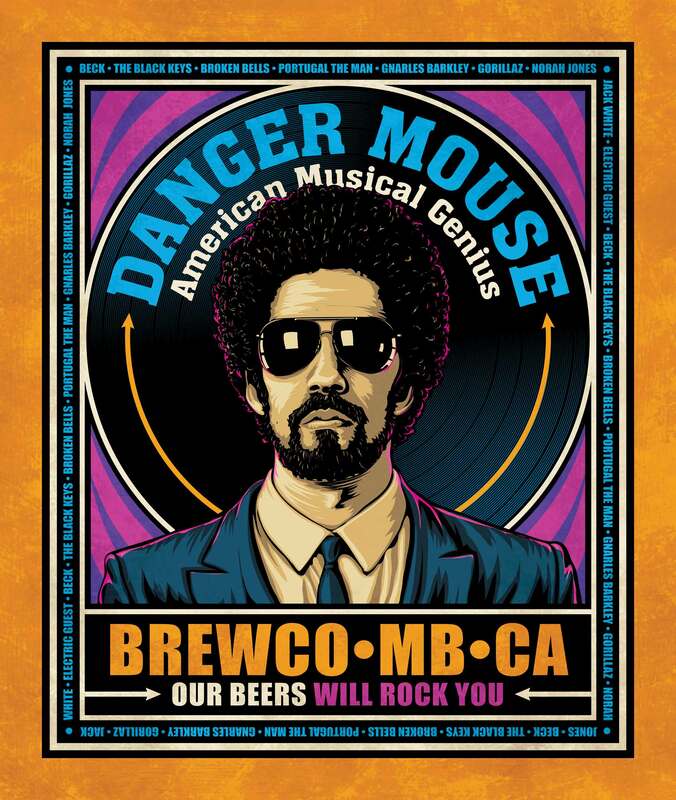 Here is the latest Brewco poster featuring Danger Mouse. The client usually prefers more subdued colors for the posters, but he let me play with some more vibrant colors on this one. 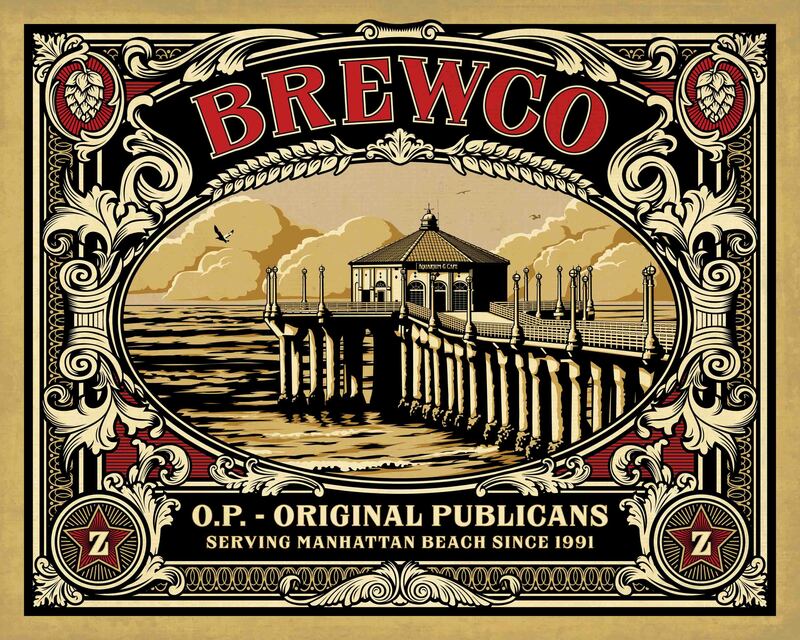 Here is the latest Brewco artwork, featuring the Manhattan Beach pier. The client had this 50″ x 40″ piece recreated in glass, gold leaf, silver leaf and mother of pearl. 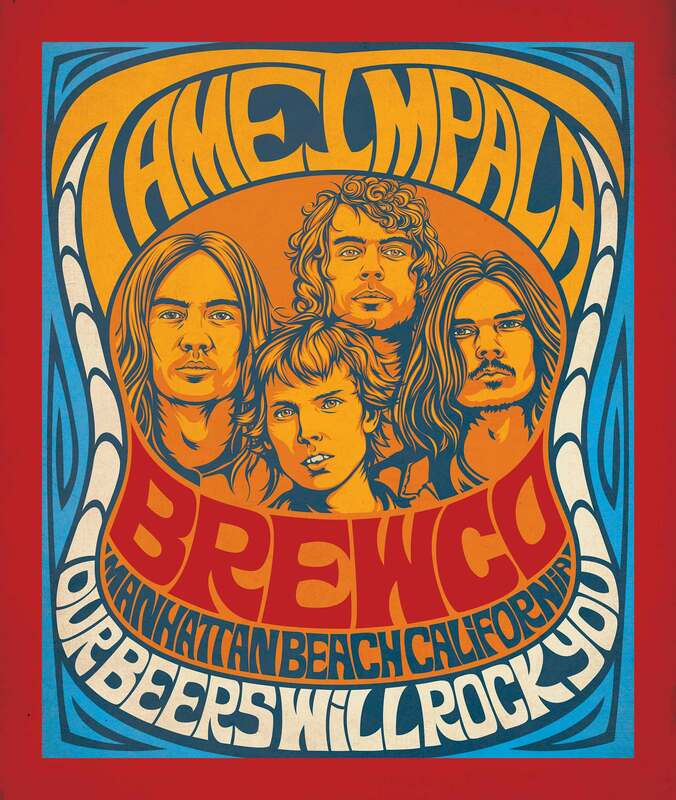 Here’s the latest rock-themed Brewco poster. 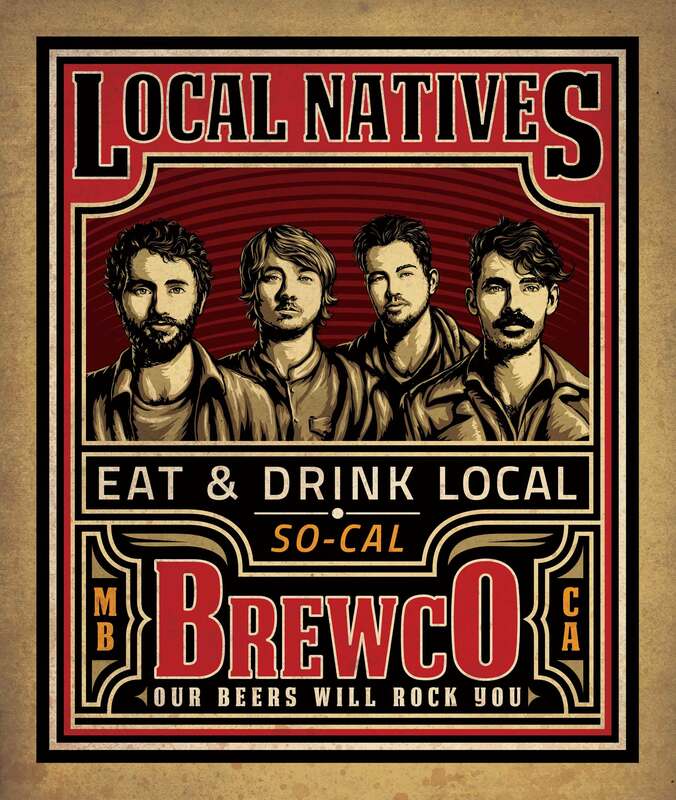 The client requested that Local Natives be featured on this piece. Stoked to have a new account in the South Bay! 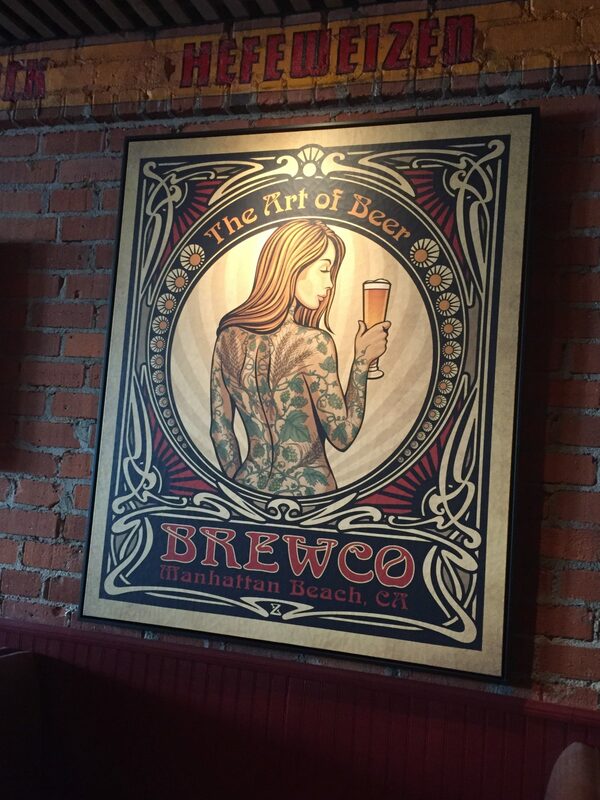 Brewco in Manhattan Beach has siiick art on the walls and tasty brews and grub as well. Seriously, this place smells amazing! 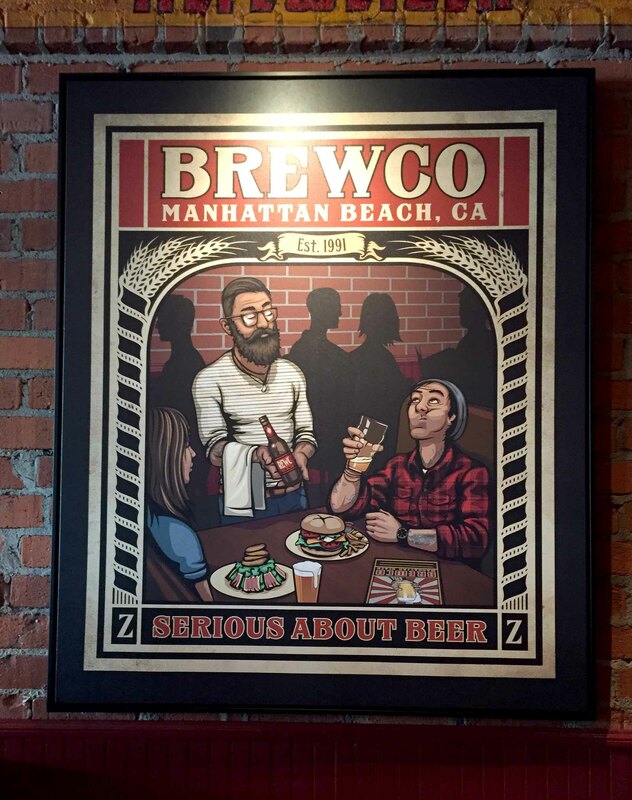 Go check out the art, great food and beers, and the wicked Gringo Bandito Hot Sauce at Brewco Manhattan Beach! 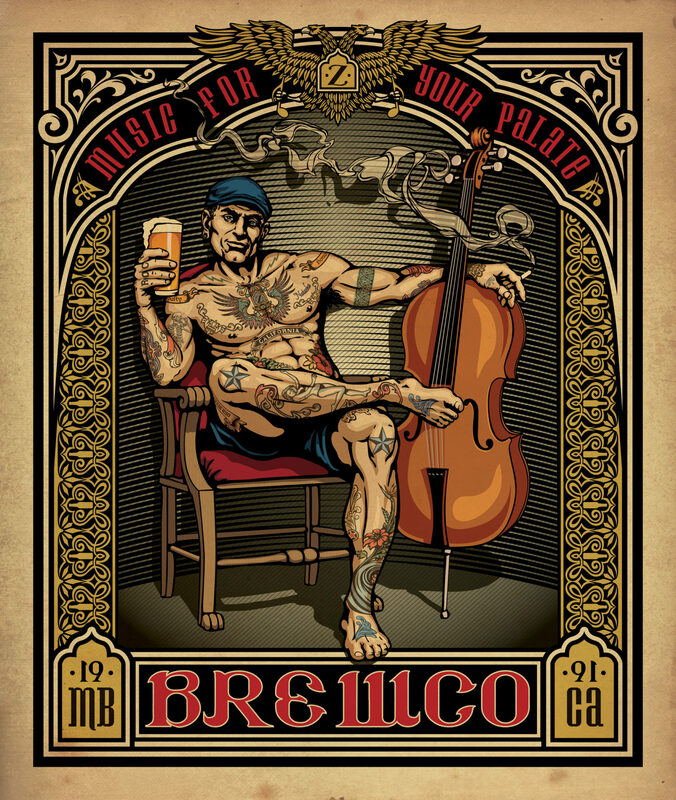 For this latest Brewco poster, I was asked to reference Sergei Vasiliev’s photo “Russian Criminal Tattoo Encyclopaedia Print No.15”. Currently on display at the Saatchi Gallery in London, Vasiliev’s exhibit is a collection of photos of Soviet prisoners covered with tattoos. These tattoos displayed the secret code language of criminals in the USSR. 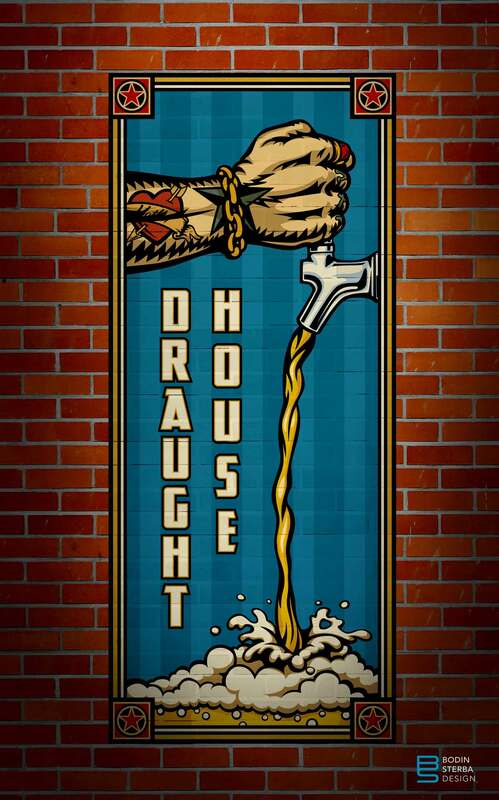 Although I did use some Soviet nuances, I opted to keep the tattoos a bit lighter and use Brewco reference instead. 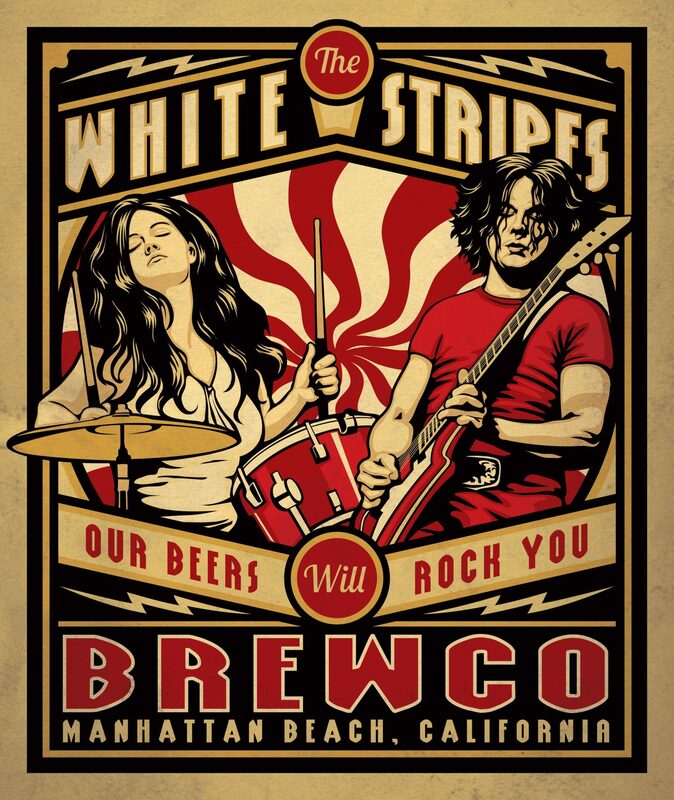 Here is the latest Brewco Manhattan Beach poster. The client requested that I feature The White Stripes for this piece. This will likely become part of a series of rock & roll themed Brewco posters.